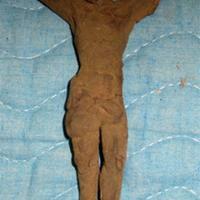 Small clay model of Christ on wire armature. 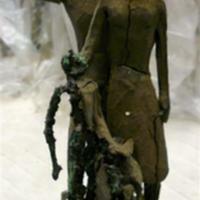 Hands and feet badly damaged or missing. 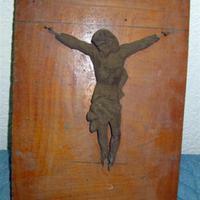 Small clay model of Christ on wood board. Hands and feet are damaged and/or missing. 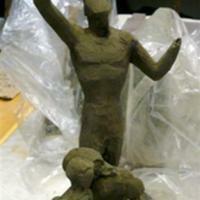 Clay Spirit of Detroit figure with head detached and in the lap of the figure. 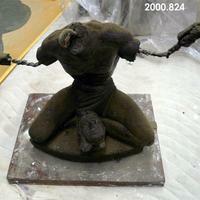 Figure is clay and wire on a wood board.